Switched At Birth: "The Homecoming"
When I reviewed the Switched at Birth premiere, the main thing I noted about the show was its immense potential. Potential, however, can be a tricky thing: If it is never fully realized, the lingering disappointment can lessen enjoyment of what good does exist, as the viewer considers what could have been. 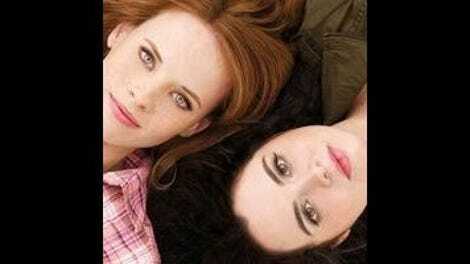 Switched at Birth has nothing to worry about in that regard, though, as the potential hinted at in the pilot has been fulfilled ten times over throughout its very strong first season. ABC Family has a real gem on their hands here. The finale, like the pilot, attempted to cover an intimidating amount of story in just one episode, slightly to its detriment. There were two episodes fighting each other here: One moving the plot forward because of the emotions of the characters, and one moving the plot forward because of the actions of the characters. The former was very successful, with the Daphne/Emmett/Bay triangle and Bay’s tentative first meetings with her biological father making for an emotionally resonant hour. The latter, which was epitomized by Angelo’s mustache-twirling conversation with John about the lawsuit? Well, that’s where the show still needs a bit of work. Where Switched at Birth truly shines is its characters. Despite its almost ridiculously high concept premise, they’re what anchor everything in the show firmly into realistic ground. One thing they’ve consistently handled well throughout the first season are the complicated family dynamics these characters are immersed in, never shying away from the reality that this whole situation is just really honked up. Yes, it’s a bit too cute they all live together now. Yes, sometimes it seems like everyone’s been a bit too easily accepting of all this change. But every time things seemed to be easing into a more comfortable place, the writers have cleverly thrown a kink in the works to knock everyone off their feet again. The most effective – and affecting – example of this was the revelation that Regina knew about the switch since the girls were three years old, and made the decision to keep the secret for fear of losing Daphne. The reverberations of this touched everyone and everything, and the resulting episode (“Pandora’s Box”) was the best of the series so far, and a pretty impressive example of what the show can do when it gets everything right. Although the situation with Regina is still on shaky ground in the finale, the emotional stakes of the episode are focused less on her and more on the burgeoning love triangle of Daphne, Emmett and Bay. I must admit, before Daphne suddenly “realized her feelings” for Emmett last week, I was hoping the show would avoid this particular cliché. However, the way it played out tonight, and the wonderful scenes it produced between all of the parties involved, have me kicking myself for ever being worried. (Unless you just fundamentally hate love triangles, in which case you might have a bit of a harder time swallowing the story.) What this love triangle has going for it more than any other on television right now is the unique position of two of the three parties being deaf, and how this affects everything they think and feel. It adds a color to the story that’s never really been seen on a family television drama before, and it’s absolutely fascinating. Just picture this for a second: A show, ANY show, having entire scenes (including passionate fights!) with absolutely no dialogue, only signing and subtitles. Before Switched at Birth I would have considered it impossible, and likely thumbed my nose at the dramatic potential of such a scenario. Having seen an entire season featuring many of these conversations, however, I can honestly say they are some of the most compelling scenes on any show I’ve seen all year. Daphne admitting her feelings to Emmett and Emmett finally using his voice to win back Bay’s heart were both extremely emotional, wonderful moments –moments that elevate it beyond the Dawson’s Creek of it all. 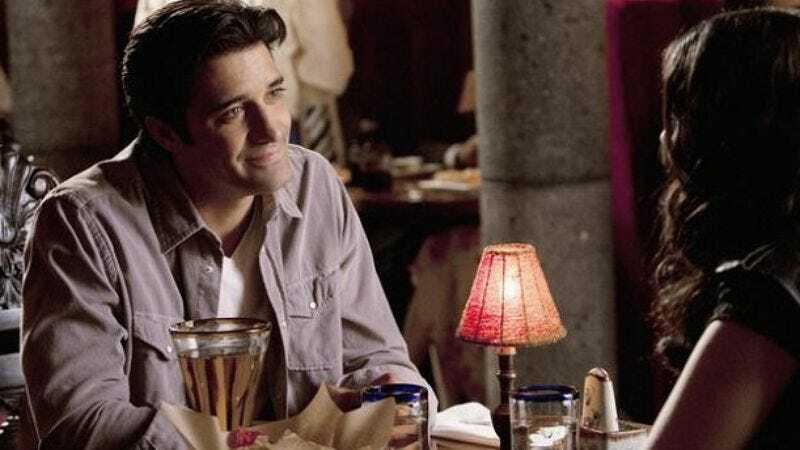 Of everything this show does right, the deaf storyline is the one that stands out as something that transcends beyond the trappings of its family drama roots and into something more meaningful for the modern television landscape as a whole. It’s kind of remarkable, when you consider they’re doing this with ease on a weekly basis. Less interesting is what happens when the show focuses more on soapy plot machinations rather than character-driven stories, which is what a good portion of the finale was focused on. Bay’s biological father Angelo has been sort of the Chekov’s gun of the series up to this point, and I suppose since this is the finale he was bound to show up. Of all of the characters he is the one with the most potential to be one-dimensionally evil, and it looks like they aren’t shying away from this portrayal. His place in the world is extremely interesting – although he left his family, he did it for what seems like a not-entirely-invalid reason – but the plot shenanigans with the lawsuit and the potentially false evidence seems like too much, too soon (and the lawsuit has never been a particularly strong story to begin with). Anything completely plot-driven such as this has generally been a disappointment in the show so far, so this development is a bit disheartening, especially because his character has so many more interesting, character-driven stories that can be told, like his relationship with both of his daughters. This isn’t saying those things won’t be explored in the upcoming episodes, but to color his character in a villainous way so quickly feels like a mistake. Revealing his potentially shady motives and then dropping the bombshell that he’s planning to stay in town makes for a somewhat effective cliffhanger, but the machinations it took to get there were ultimately not worth the one small moment of suspense. Here’s hoping when the show returns, Angelo will get a chance to earn the shades of grey the rest of the characters have been given throughout the first ten episodes. All I know is, whatever Switched at Birth decides to do next, I’ll be watching. A note on the grade: The B+ is simply for the finale, due to some of the issues I had with this episode (mentioned above). If I had to give a season grade, I’d go A-. ABC Family obviously knows they’ve struck gold: The show has been renewed for 22 additional season one episodes, bringing the season’s episode count 32. Even with their weird split season scheduling, that’s pretty tall order. Here’s hoping they can keep the quality high with so much story time to fill. Overlapping signed dialogue. Incredible to see. This new, hardened Daphne is pretty fascinating. Katie Leclerc plays both aspects of the character so convincingly that I will follow her story wherever it leads (even if I’m a totally Emmett/Bay shipper, I mean, come on). I did not know much about Constance Marie prior to this, but she is doing some outstanding work here. Regina is a tough character to play in that she has done some horrible things, but Marie consistently makes the character heartbreakingly relatable. It’s the kind of work that should be recognized in a wider forum. Regina and Kathryn are going to go into business together on Regina’s salon. There’s no other way that’s going, right? “I don’t want a deaf Bay. I just want you.” Awwwwww.